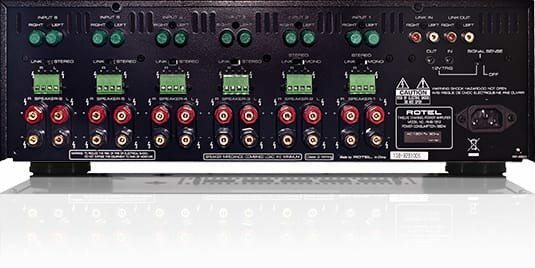 No longer do you need to purchase several large amplifiers to obtain a high performance multizone audio system. 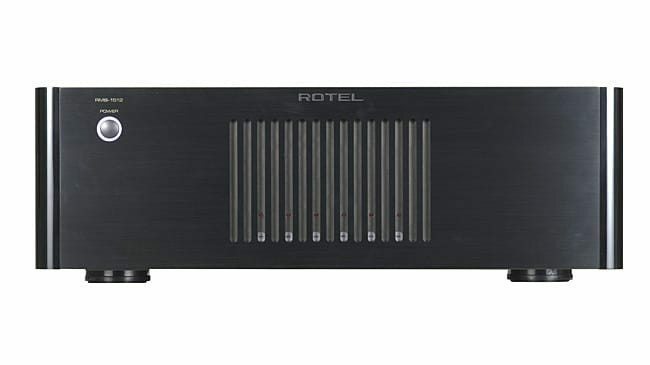 The RMB-1512 features an advanced Class D design that provides plenty of power (12 x 100 watts into 8 ohms) for the most demanding mulitzone audio systems, but never runs the danger of overheating itself or other electronic components placed in the same vicinity. The RMB-1512 features everything needed for remote operation and custom installation including 12 volt trigger signal sensing, input bussing, sum-to-mono, buffered link output, front panel attenuation control, five-way binding posts and screw terminals.